80 acres, aspen was logged recently. Property has pines, brush, and deer plots. 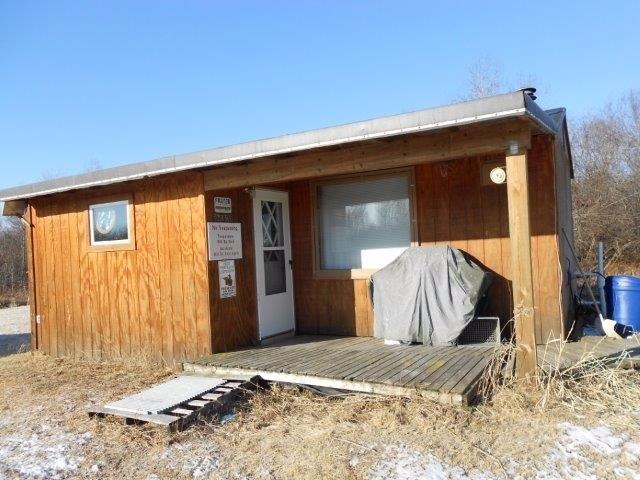 Extremely nice 12' X 24' Cabin (hardwood floor) with a 6' X 12' entrance porch (heated). Rare find cabin has gas lights, solar panels, gas and wood/gas stove. There's also a refrigerator and sink with overhead water tank. Outside the cabin there are 3 miles of trails. This property has plenty of recreation and adjoining state and agricultural lands with fantastic deer hunting. Also, close to the resorts. Contact Northland Woods-n-Water Realty at (218) 634-2715. Priced at $79,000.